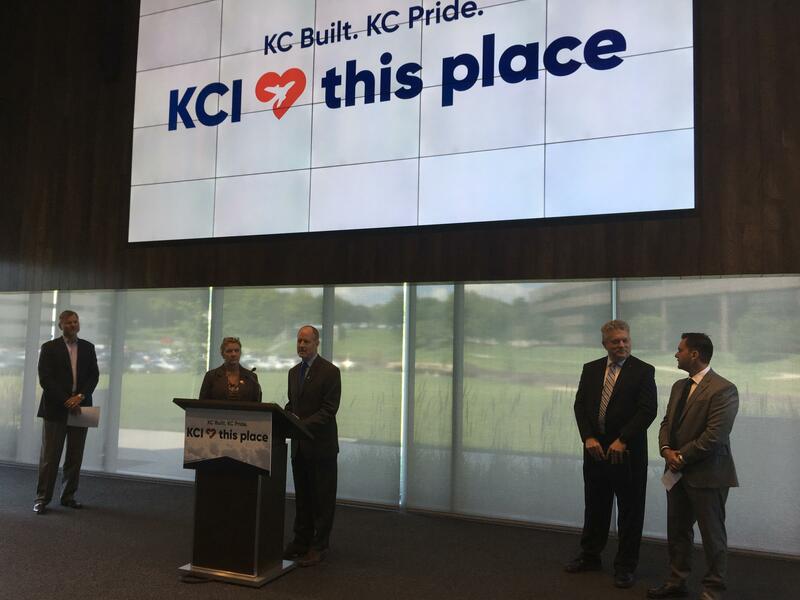 Burns & McDonnell, one of the firms competing to to build a new terminal at KCI is calling on the city to restart the selection process. In a statement, attorney Dave Frantze, who represents Burns & McDonnell's team (legally named Terminal Developer LLC), said his client wants to see the airport redeveloped. On Monday, Frantze contacted the city attorney alleging a conflict of interest between law firm Husch Blackwell and one of the other bidders, Edgemoor Infrastructure & Real Estate. Husch Blackwell served as legal counsel to Edgemoor in 2016 for a project on the University of Kansas campus. The firm was retained in May to serve as outside counsel to the city during the selection process. Charles Renner, the lead attorney from Husch Blackwell advising the city, also acted as lead attorney for Edgemoor on the KU project, according to the complaint. In a publicly released letter, Frantze writes, "the relationship between Husch Blackwell and one of the proposers created a horrific conflict of interest that has tainted the selection process." City Councilman Quinton Lucas says he's not concerned about a conflict of interest. In a letter to city manager Troy Schulte, he pointed out that the alleged conflict has been known publicly since Husch Blackwell was hired by the city on May 18. At the time, Lucas says, Burns & McDonnell publicly supported the city's decision. "And frankly, Husch Blackwell doesn't really control this process," Lucas says. "We have experts from other law firms like Kutak Rock, financial experts that aren't under the direction of the Husch Blackwell team ... and I'm confident with the process as it exists." As far as restarting the selection process, Lucas says its an option that the city should consider. He's been a vocal critic throughout. It's unclear how going back to square one might affect the timeline, and Kansas City Mayor Sly James is set on getting the issue before voters in November. "[The city council] set up this process, I'll let council figure out the best way to respond to it. My energy is going to making sure that we make sure that all the people in Kansas City know that, regardless of all of this, we need a new terminal and we need to vote for that in November," James says. City Manager Troy Schulte has called a special, closed session of the city council Wednesday at noon to discuss the matter.